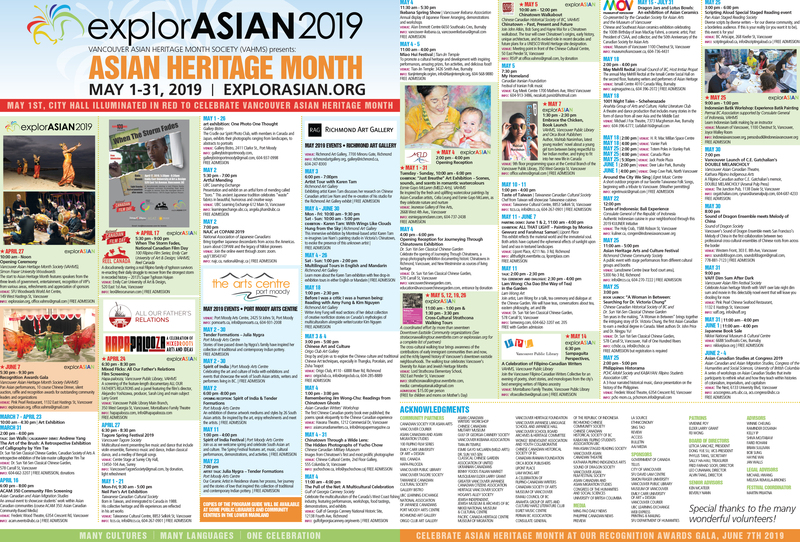 The Vancouver Asian Heritage Month Society (VAHMS) and the Vancouver Lipont Art Centre are pleased to present Generation One Art Exhibition during the 21st annual explorASIAN festival, which promotes national Asian Heritage Month in May. The Generation One Art Exhibition was created in 2009 as a signature program of the VAHMS festival to feature both established and emerging local artists, who are first-generation Asian Canadians by immigration or birth, and to provide a forum for exploring new expressions of Canadian identity. This year, the exhibition will focus on issues of social integration facing Asian Canadians of various generations. The Generation One Art Exhibition is curated by a committee of experienced art professionals who are passionate about promoting dialogue and engagement through the arts. The free family-friendly exhibition will be on view from May 1 to June 4, 2017 at the newly established Vancouver Lipont Art Centre.